All ProChoice safety glasses, regardless of model, provide the maximum eye protection required by Australian safety standards. 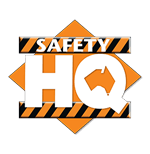 Australian Safety Standards require safety glasses to meet stringent tests involving mechanical, thermal, chemical and optical tests. Whether the lenses are clear, amber, smoke, mirror or polarizing they are medium impact anti scratch and offer 99.9% UV protection. To meet work requirements and wearer choice, we offer a safety glasses in a comprehensive range of styles and features, including wrap-around, anti-fog, ratchet temple, extendable arms and silicon nose pads. For PPE for the eyes you can't go past safety glasses by ProChoice.